We know every baby and family are different and this package allows you to find that perfect pocket diaper at 5-10% off retail price. Select 4 or more of the choices below to create your personalized Sampler Package! Using the above dropdown menus, I have added a minimum of 4 brands of diapers to my cart. Are you overwhelmed with options? 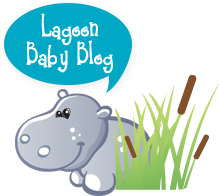 Are you wondering what diaper you should choose? Good news! You don't need to pick just one! 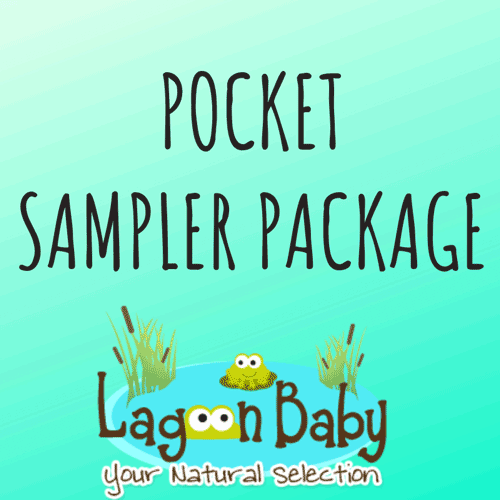 Our Lagoon Baby Pocket Sampler package allows you to choose a customized package of our top pocket diapers. You may find that you have a favourite, or that you love them all. Don't limit yourself with just one brand of diaper. 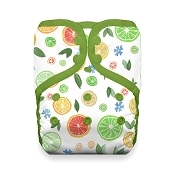 Give our sampler a chance and find your perfect diaper! 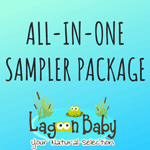 Each Lagoon Baby Pocket Sampler package is carefully chosen and coordinated to be your perfect beautiful surprise. 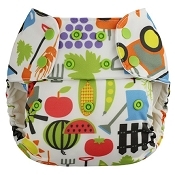 Choose boy, girl, or gender neutral diapers and we'll package something you're sure to love. Select a minimum of 4 of the diaper choices to your create your personalized Package and select "No ____" from the dropdown menus to the diapers you would not like to receive. Select either Boy, Girl or Gender Neutral for your colour preference. 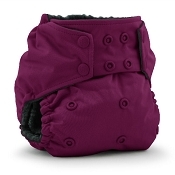 Once a minimum of 4 diapers have been highlighted and selected (reflected in Price) and your colour preference has been chosen, your next step is Add to Cart. 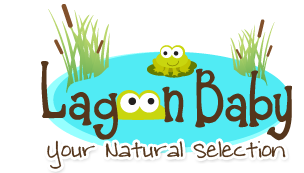 1 Lagoon Baby Pocket Sampler Package per customer. 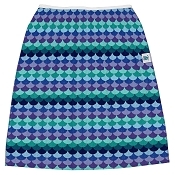 If you have specific colour choices please indicate in Comments during Checkout and we will do our best to accommodate, although we are unable to guarantee. Great way to try different products at a very decent price. Through this program, I definitely discovered the brands I like and disklike. Q: How does this sample pack work do you half to return it or does it cost money? 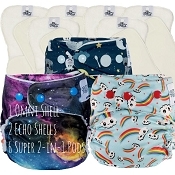 A: Please add a minimum of 4 of the diaper selections and then select the Add to Cart button, your total price will reflect as you add your selections. This is not a rental or trial package, used diapers are non-refundable. The purpose of the package is to try a few brands at discounted pricing.